It has been the most radical of journeys. On election day November 2010 an online broadcast would emerge that would create stars, enlighten warriors, and topple dynasties. It's been 6 years since #2RAW4TV first aired and we are now witnessing the fruits of our liberating labor. Even when our enemies tried to make us disappear we came back to deliver them the deadliest blow yet!! Our message has been clear since day one, REVOLUTIONARY change and at this moment we are in the midst of just that. Join us this Thursday November 3rd join us as we showcase new music, speak to guests that been here since day one, and reveal what's next. 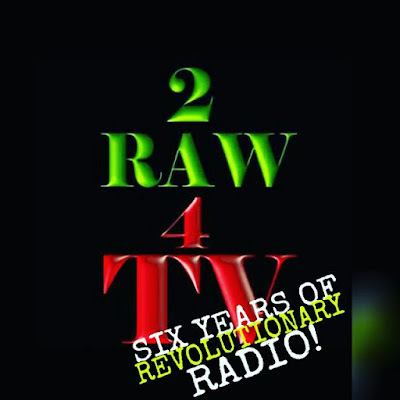 This will be the most powerful 2RAW4TV yet!